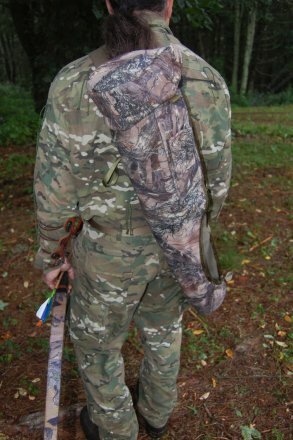 Awesome way to maintain a low visual profile in the woods. Bow mounted quivers are convenient but the fletchings on the arrows attract attention everytime you move your bow. 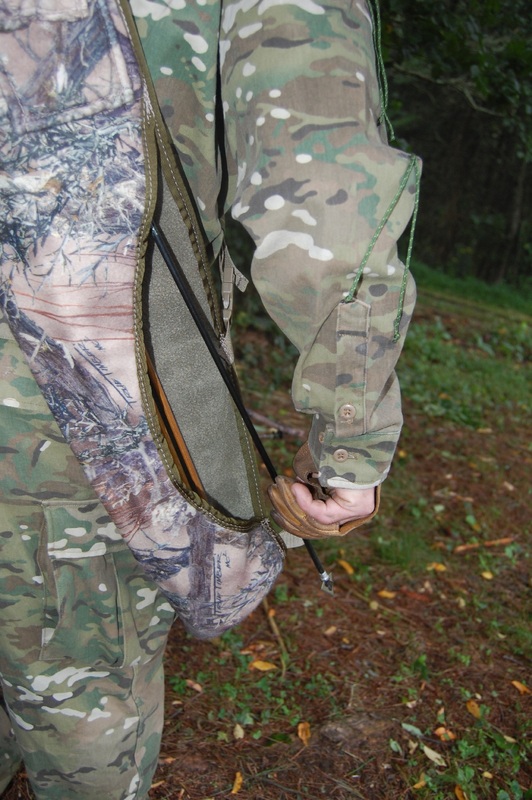 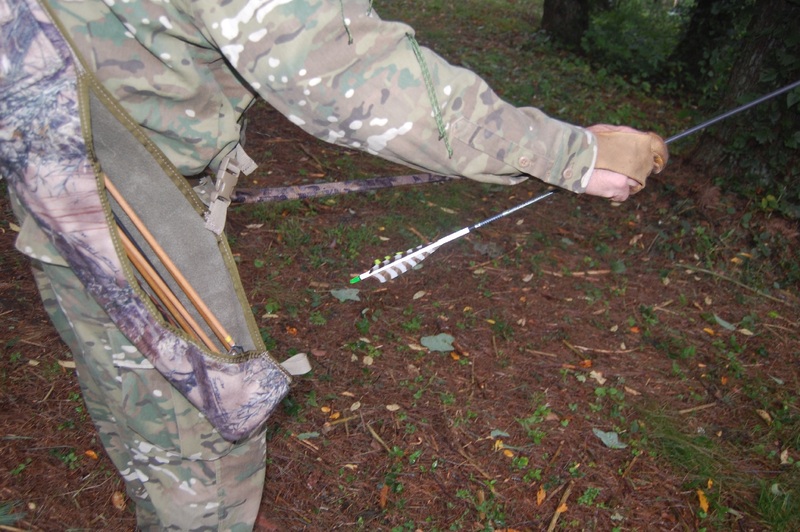 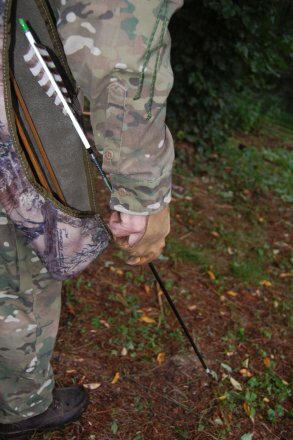 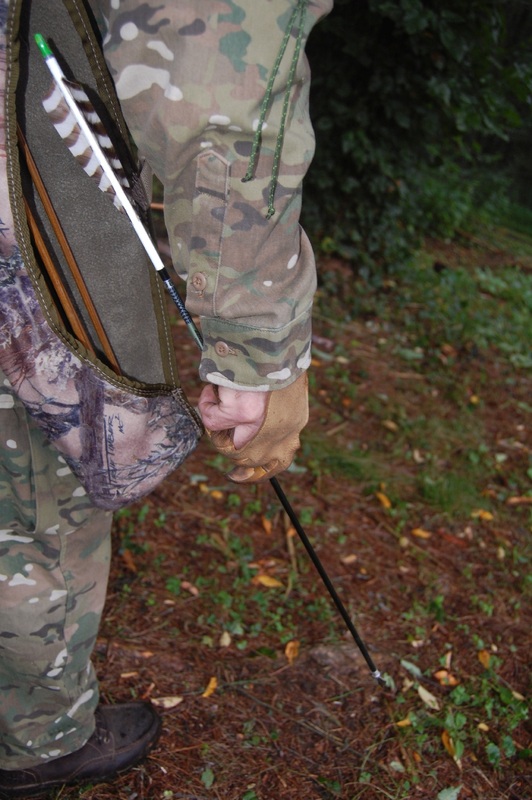 This quiver allows you to reach down and quickly and quietly grab your arrow. 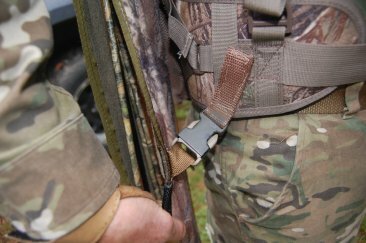 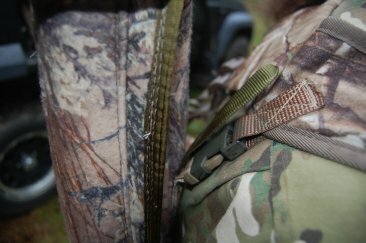 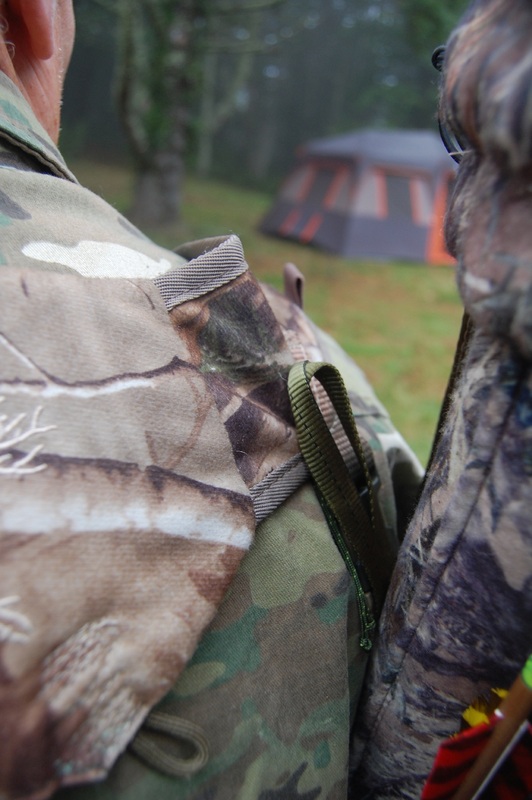 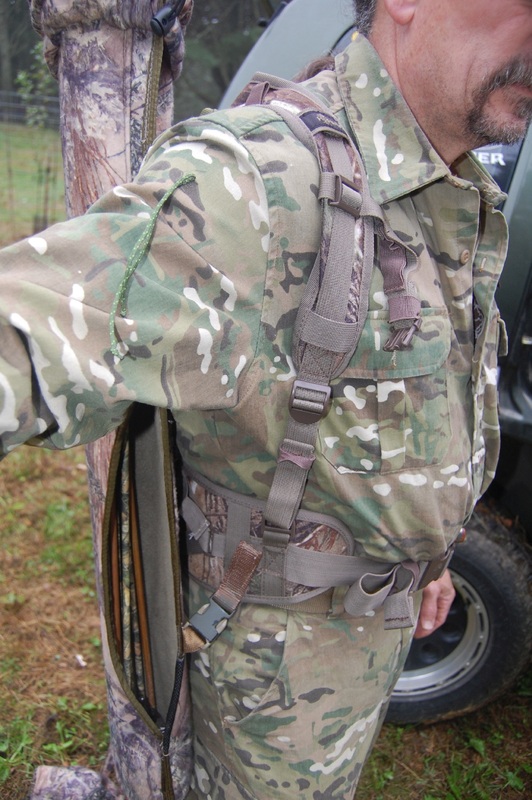 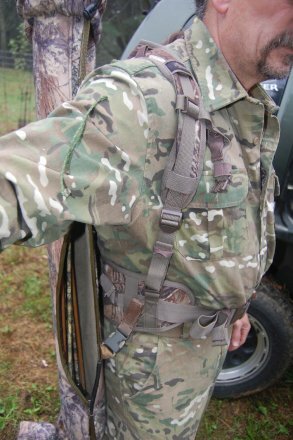 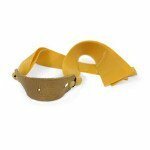 It also unclips to mount directly to your hunting pack or strap into your tree stand. This product is handmade from scratch by Ray Earnhardt in Fines Creek, NC. 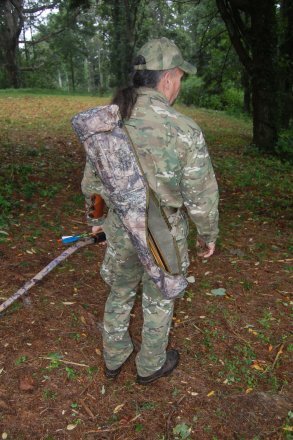 Since its handmade, every quiver is slightly different. Pockets may change slight and mounting points may change slightly for better balance. 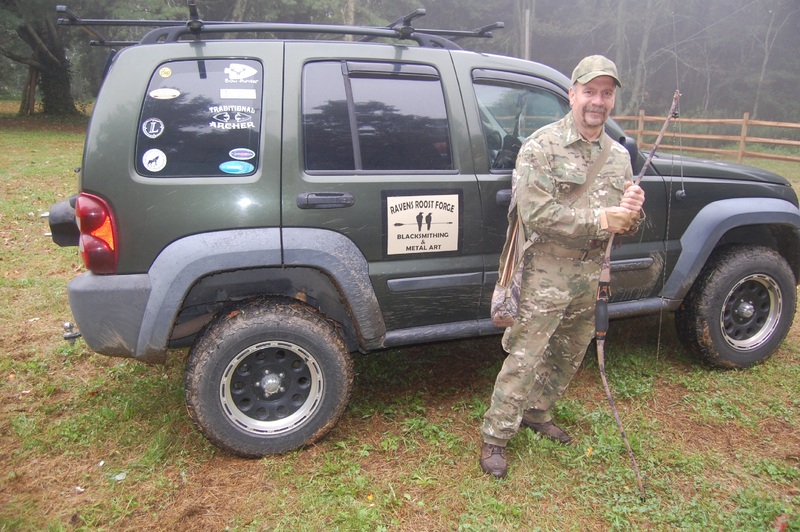 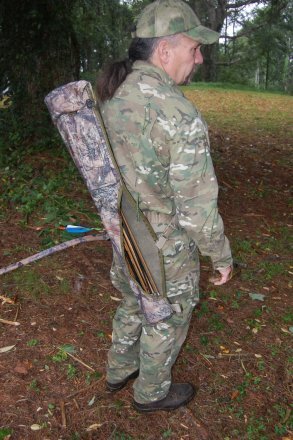 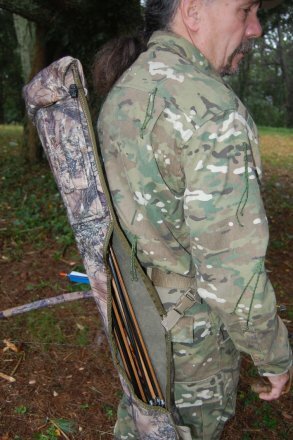 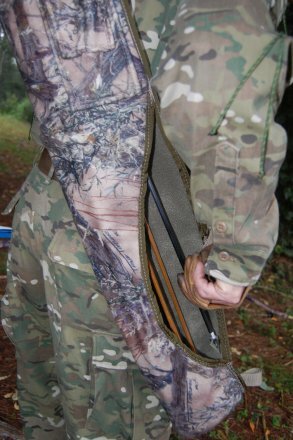 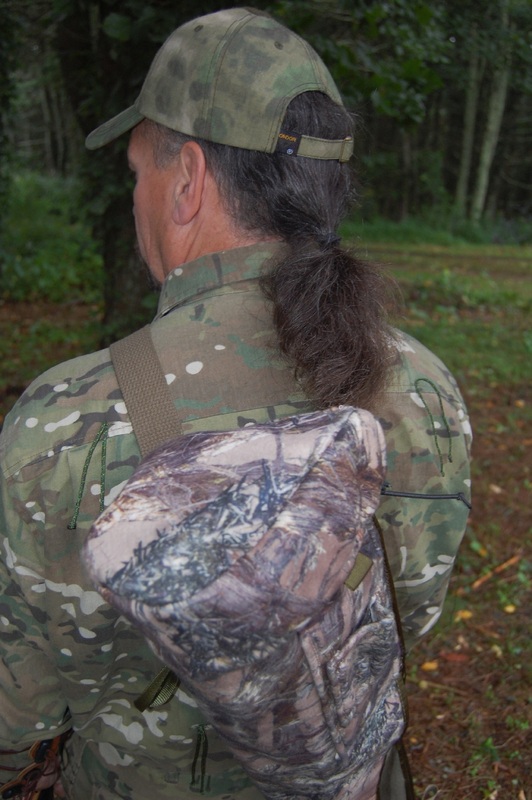 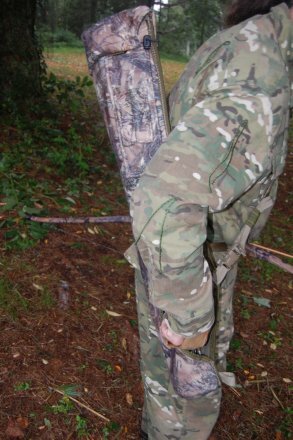 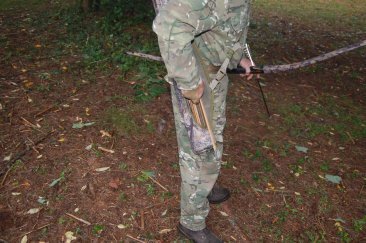 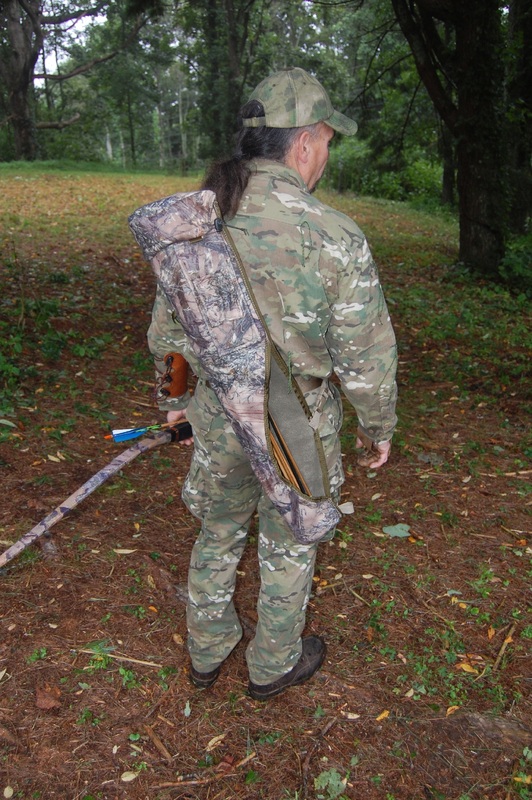 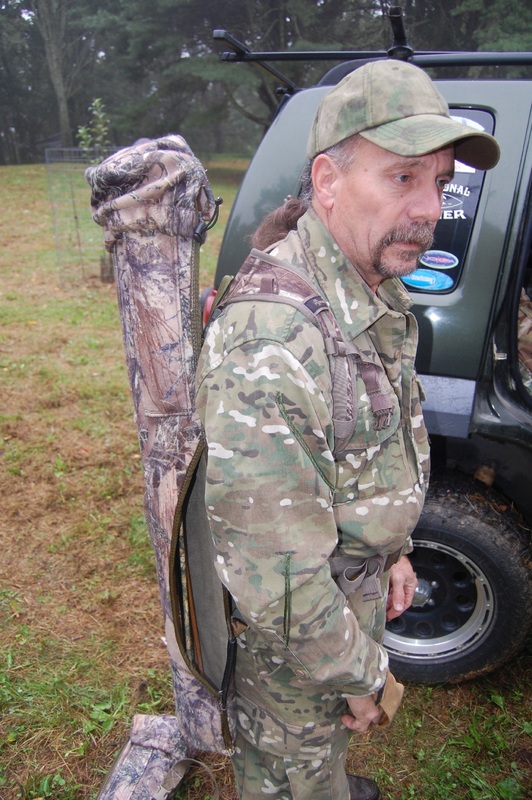 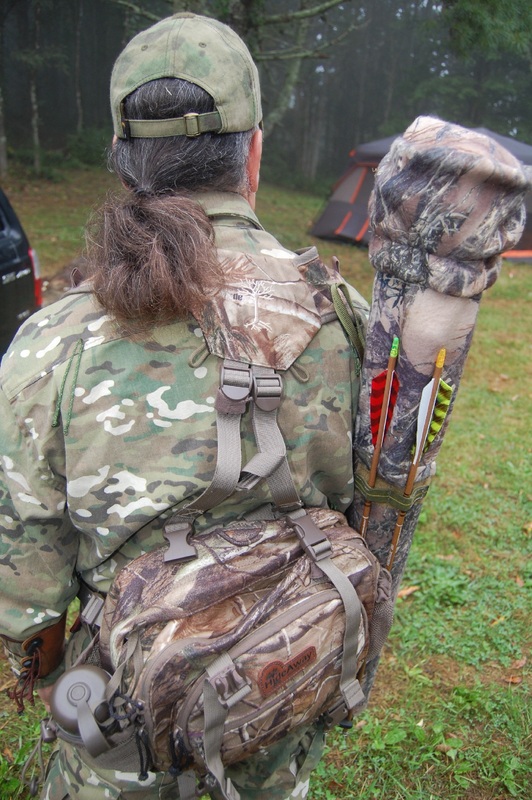 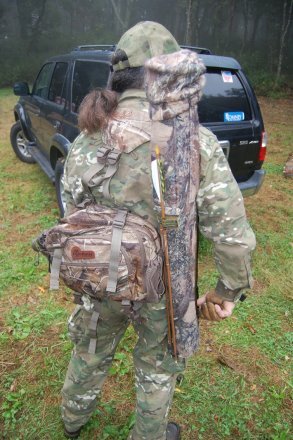 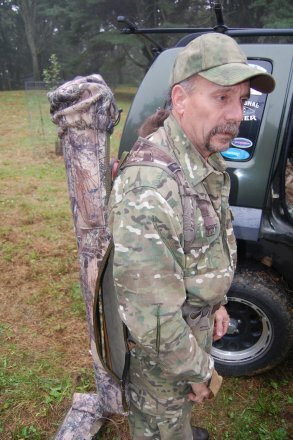 Ray is an active long bow hunter and designed this quiver to improve his hunting experience.